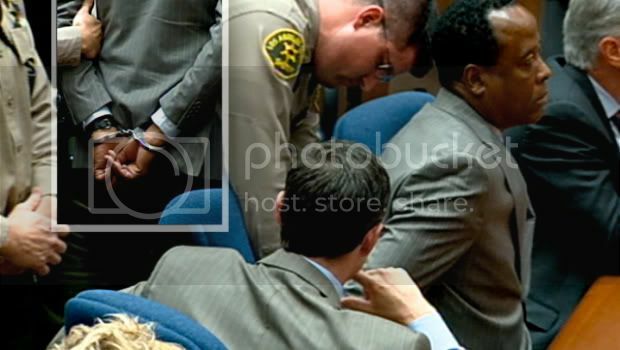 On June 25, 2009, “Dr” Conrad Murray killed Michael Jackson. Subsequently, he was charged with one count of involuntary manslaughter and now faces maximum of 4 years. Dr. Quack with the charge that would somewhat serve justice: second degree murder. Criminal negligence: takes place when someone behaves in a way that is an extreme deviation from the way that a reasonable person would act. California's standard jury instruction for involuntary manslaughter states that criminal negligence "involves more than ordinary carelessness, inattention or mistake in judgment." Defendant’s acts must so dangerous that it is akin to playing Russian roulette. Murder is the killing of a human being with malice aforethought. Such malice may be express or implied. It is express when there is manifested a deliberate intention unlawfully to take away the life of a fellow creature. It is implied, when the circumstances attending the killing show an abandoned and malignant heart. or without due caution and circumspection. In California "murder is the killing of a human being with malice aforethought". The term malice aforethought does not necessarily mean that the killer planned or premeditated on the killing or that he or she felt malice toward the victim. Depraved heart killing is when someone’s actions were SO dangerous that he showed virtually no regard to the safety of a human life and as a result killed someone. The death is considered deliberate b.c the defendant’s actions were active choice. Depraved Heart killing constitutes second degree murder in the state of California. On February 25, 1945, a 17 year old Malone obtained a gun from his uncle’s home. The same day, his friend, 13 year old William H. Long obtained a bullet from his father’s office. The next day, the two friends met. Malone suggested that they play Russian roulette. Long said “I don’t care, go ahead” So Malone pointed the gun at Long and fired twice. On the third round, the gun went off, killing William Long. Pennsylvania Supreme Court upheld the second degree murder sentence, ruling that Malone intentionally committed an act with a very high chance of causing death. The distinction between murder and other types of killing is “malice.” However, the malice isn't necessary directed against the victim personally. Just because you didn’t mean to kill doesn’t absolve you. Malice could be “any evil design in general”. When someone commits an act of gross recklessness for which he must reasonably anticipate that the death is likely to result, he is guilty of implied malice. The means were not accidental; the result (death) was. Death may be accidental but it resulted from a malicious act intentionally committed. The killing of William H. Long by Malone resulted from an act intentionally done with disregard to the deadly consequences which was at least %60 certain from his thrice attempted discharge of a gun known to contain one bullet and aimed at the victim. This killing was, therefore, murder because malice is evidenced by Malone’s intentional act with callous disregard of its likely fatal outcome. There is a razor-thin line between depraved heart murder & involuntary manslaughter. The crucial difference is the level of recklessness, which is often hard to quantify. Crystal clear instructions should be given to the jury as to both offences. In ‘definitions’ section, I differentiated ‘negligence’ and ‘recklessness’ to put them in perspective but in criminal law, both are used interchangeably which contributes to the blur between involuntary manslaughter and depraved heart murder. In layman terms, involuntary manslaughter is when the defendant SHOULD HAVE known that his acts would lead to death; a reasonable person would know it. In depraved heart murder, the negligence level is higher. It requires that the defendant KNEW that his acts were dangerous and that the natural consequences of his acts were dangerous to human life but he proceeded anyway. Depraved Heart murder is about how dangerous the defendant’s conduct is, NOT how likely he thinks the result (death) will happen. In Malone case, playing Russian roulette with a loaded gun was extremely dangerous. Malone’s claim that he didn’t think the gun would go off is irrelevant. Below is the Judicial Council of California's jury instruction for murder. 1. There is not one single act by Conrad Murray in his “treatment” of Michael Jackson that is in accordance with the standard of care. From the very beginning to the very end, every single act by Murray was dangerous acts, collectively and directly leading to Michael Jackson’s death. to commit these dangerous acts which subsequently lead to Michael Jackson’s death. Conrad Murray invented a “medical treatment”, invented a “medical equipment” and invented a “controlled setting”. From purchasing Propofol to administering it via his little arts-and-crafts-project (Propofol vial inside saline bag) akin to fully loaded gun, Murray’s actions showed utter and absolute disregard to Michael Jackson's life. By his own admission, Dr. Quack found Michael with a weak pulse. What Michael urgently needed was OXYGEN. Had Conrad Murray provided Michael with oxygen then immediately took him to UCLA, Michael Jackson most definitely would have been alive. The oxygen tank in the room was empty and the breathing tube to the oxygen tank was NOT hooked up. Instead of finding an oxygen supply to his dying patient, Dr. Death prioritizes and began cleaning up the scene. Dr. Quack decided that it was more important to hide evidence than to save his patient's life! If this is not the textbook example of sheer disregard to the value of human life, I don't know what is! What’s the very first thing that Conrad Murray hides? His murder weapon! This is so good! Looking forward to part 2. Would you consider sending to Dr. Drew Pinsky who apparently needs a good education?